These underutilized resources are excellent for determining market position and sparking creativity. In past Blog posts we’ve talked about how getting into the article writing “Zone” and marketing process takes effort, but once you get there, each article takes less work as your thoughts roll out onto the page (or screen) in front of you. However, you can only get as much out of this frame of mind as you put into it. To really take advantage of “The Zone,” spend some time mining the mountains of data we make available through different EzineArticles tools. 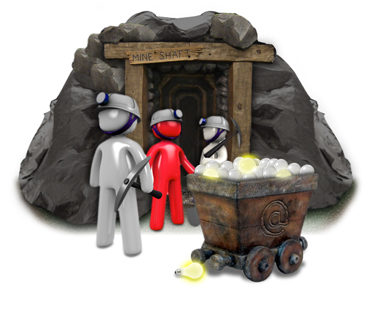 Remember that insight mining sessions can be the perfect way to uncover gems of information like popular topics in your niche, what the competition is doing and the nature of your market. Video Archive – This is a comprehensive list of all the videos created by the EzineArticles video team. The archive is filled with tips, strategies and tidbits of knowledge. Recent additions include the Article Content vs. Real Life series and our 2 Minute Approval Tips series. In the archive we have all the other videos in these series, plus some gems you may have missed. Training Series (:90 Audio Series and PDF Version) – Designed for new authors and veterans alike, both series are filled with helpful tips and strategies for more efficient article writing and marketing. Most Emailed / Viewed / Published Articles – From these lists you can get a sense of the quality and quantity of the most-shared articles in our database. You, too, can end up on this list by implementing your own article writing and marketing strategy. Most Rated Articles – Through the Article Rating System, readers can grade the value of each article they see on a star scale of 1-5. The peer-rating system provides feedback to authors and a quick review of the top articles can give insights as to writing styles and formats that work. List of Expert Authors – Compare your writing efforts to the other Expert Authors. You can view authors by name or number of articles. If you want to investigate a single niche, you can go to that niche’s homepage and click on the “Top Authors in …” link just below the EzineArticles Search Bar. EzineArticles Map – Watch in quasi-real-time to see the location of authors as their articles are approved. Cartoon Archive – The archive is a great way to bring lightheartedness to your website or blog through EzineArticles-related humor. All cartoons can be posted free of charge on your own website, or you can purchase an EzineArticles mug with the cartoon emblazoned on the side. Shop @ EzineArticles – Know a friend that loves EzineArticles and wants to show it? Visit the Shop @ EzineArticles to purchase all of your favorite EzineArticles shwag and more! Traffic Stats – A display of real-time web traffic to EzineArticles.com as reported by Alexa. Use these resources to better your chances of getting into “The Zone” and help you launch your next article writing and marketing campaign. Also, share any other resources you use in your next data mining session in the comment section below. Yeah, they are useful, sometimes, i think the skills and the tools will make you article be aproved easily and quickly. A nice article. I should really consider using these tools.